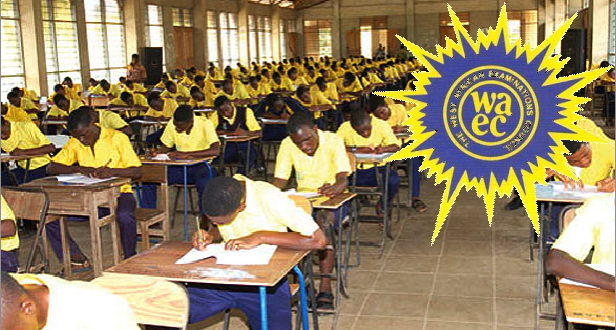 The West African Examinations Council (WAEC) says it is set to introduce a device that will henceforth check collusion during its examinations across the country. The council’s Head, Media and Information, Mr Damianus Ojijeogu said this in an interview with the News Agency of Nigeria (NAN) on Wednesday in Lagos. He said that during the 2014/2015 examination, it was discovered that collusion was gradually replacing other previous forms of malpractices recorded by the council including impersonation. “We are planning to introduce software called Item Differential Programme. This device is one that would assist in detecting collusion in any given examination. “The introduction of the device is based on the high level of collusion that we discovered during the 2014/2015 examination. “The device will be able to detect if candidates have jointly answered a particular multiple choice question, which we refer to as “item’’. “For instance, if out of 100 candidates, 80 per cent of them go for a particular item which might be wrong as their answer, the device will immediately flag such item and aggregate the candidates,” he explained. Ojijeogu noted that the device, if approved by council, might be introduced at its 2016 November/December diet of the West Africa Senior School Certificate Examination (WASSCE) for private candidates. He, however, said if it was unable to introduce it during the examination in November, it would do that during the 2017 May/June diet of the WASSCE. According to him, the council is already doing trial run and fine tuning the device. He said that the device was first used by the Kenyan Examinations Council, followed by that of Ghana.